This is fate! This was definitively destiny. After all I had planned this weekend for the Penpalling & Letters meeting for montsh already, that took place on Saturday. 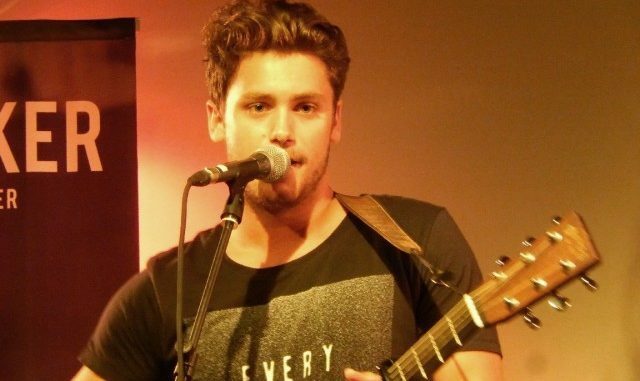 And three days before I flew over, I read on Facebook that Bastian Baker is releasing his album “Tomorrow May Not Be Better” in Germany and Austria, and he’s going to play a show in Berlin on Friday evening, 23rd May – only 2,2 kilometres away from our hostel. I almost dropped off the chair. Well, I was sitting in the train direction Berlin on Friday morning. Funnily, the train would have gone indeed to Berlin – but my destination was the airport. I didn’t arrive in Basel yet, when I had decided that I’d definitively got to go to this showcase. I certainly blushed when my friend replied to my message “I already wondered, that you were so quite that long”, that I’d take a short detour for our pre-meeting. At 4.30 pm I landed in Berlin, took my bagage to the hostel and then off to the Dussman shopping centre. I had no idea what to expect, how known Batian Baker in Germany actually was, or in Berlin. After all he had played in front of millions of spectactors on German Unity Day, he has been on tour through with 77 Bombay Street, was already at Joiz Germany and is at the moment support act of Kids of Adelaide on their Germany tour. Some would have heard of him at least. At the Dussmann shopping centre there are stairs at the very back down to the basement, where there is a small café, that got a stage in the corner. There were probably about 50 peoople there and listened to Bastian. I felt like 3 years put back into the time, when Bastian started out in Switzerland. A real flashback. He on his own with his guitare. Small nice showcases and supporting shows. No big run and with a chance to meet him after the concert, to talk to him quietly. No stress and enough time. it felt a bit weird indeed, to sit there, none knew the songs properly, or only 1-2 titles. They talked about the new, first album. He was quite talkactive during these 40 min performance. Maybe a bit nervous after all? But in a good mood. He presented the songs of his newley released album “Tomorrow May Not Be Better”, but also from the 2nd album “Too Old To Die Young”. The second one isn’t expected to be released in Germany before 2015 though. 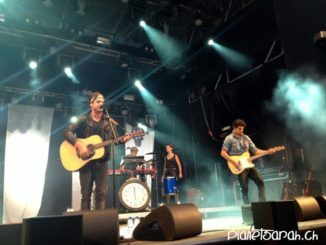 People seemed not only to like Bastian immediately, but also his music. I was grinning, when he started with “Colorful Hospital”. Well, it’s the first song on the album. But still: In the almost 40 concerts I’ve seen, he there was probably only one show, he started differently. Shouldn’t be differently. 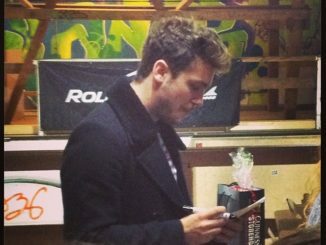 After the showcase he did a signing, you could buy the album. And umm, no, I didn’t buy it, even though I like the cover design better. The tracklist is the same. It was nice to talk to him and Bastian’s manager Raphael for a moment. 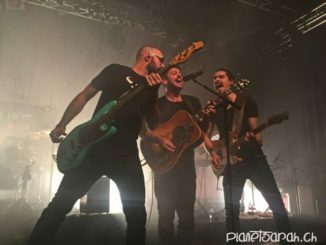 I got an impression, how the last weeks and months passed for the band in the different countries and what the future might bring. There was a time, I did know their tourdates by heart. This changed. It’s really difficult now to figure out, where he just was. 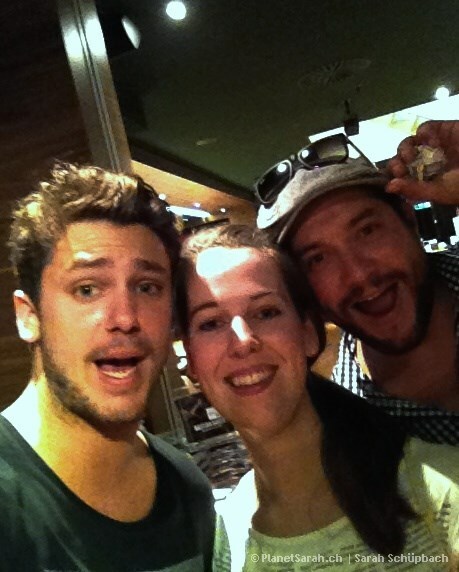 – Yeah, so you got to go abroad to meet your fave musicians again 😉 I am sure Bastian and the band won’t be bored at all and I am curious, how it will work for them in Germany. 100’000 sold CDS until gold – That should be managable with 81 mio inhabitants. I am thinking about already, if I might fly to a concert again in autumn – it was generally great in Berlin during these 3 days.